At BARBRI, we have prepared candidates to pass every U.S. state and jurisdiction bar exam administered for over 50 years or 100 exams. This means we’ve helped students pass the Multistate Bar Exam (MBE) since its inception in 1972 and the Uniform Bar Exam (UBE) since its introduction in 2011. We’ve learned a couple of things during that time. First, there are some universal truths across all exams whether it’s the UBE or a state-specific exam. Next, with the testable areas, not all subjects and subtopics are created equal as it pertains to what is actually tested and how frequently. Some topics are tested all of the time and others, not as often. 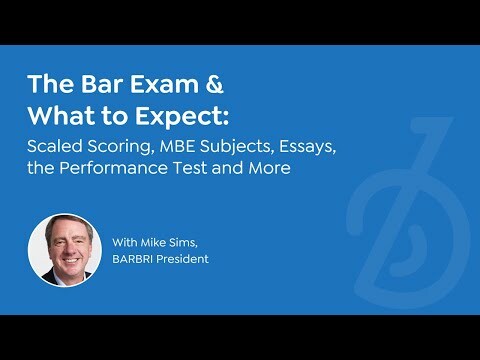 These insights feed into BARBRI Bar Review to ensure you are maximizing every precious minute of study time to study smarter, not harder.